Very few trade fairs have that magical ability to turn a location into a city of the future like the Las Vegas consumer technology tradeshow CES. It’s a lot more than a trade fair, it’s a place where paradigms shift and pioneers rub shoulders, where new business models intertwine with innovations and, more than anything, the air is a-buzz with lively conversation. 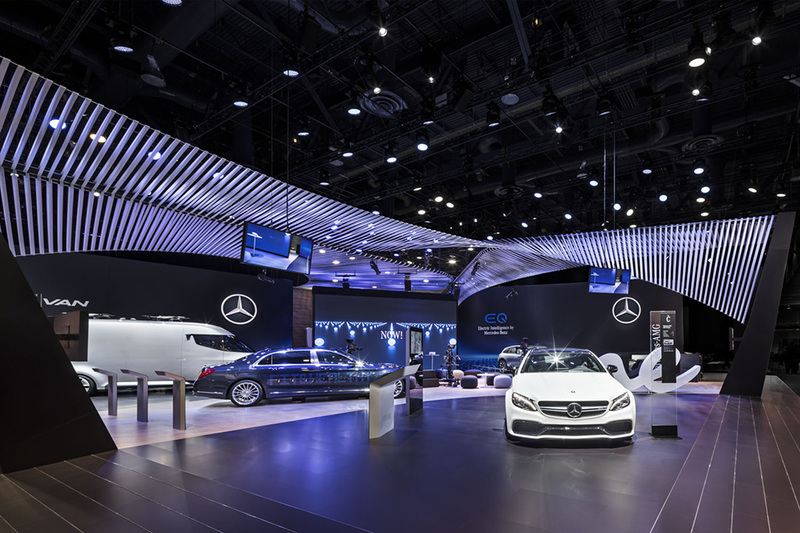 This was something Mercedes-Benz was keen to tap into while showcasing its new corporate strategy: CASE, a pivotal feature of its stand at CES 2017, not just in terms of information and content, but concept and design. 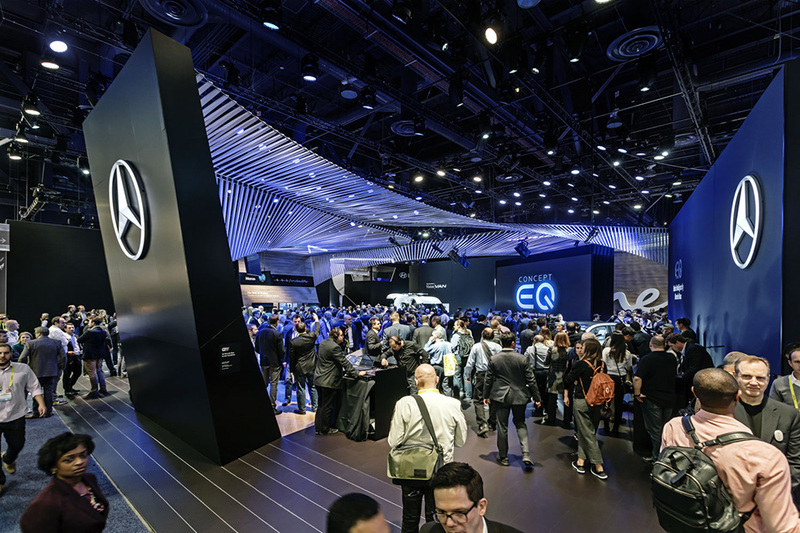 jangled nerves worked with Mercedes-Benz to turn CES 2017 into a meeting and communication hot spot. The atmosphere in the lounge beckoned visitors to linger and savour the quality of the stand and the conversation. 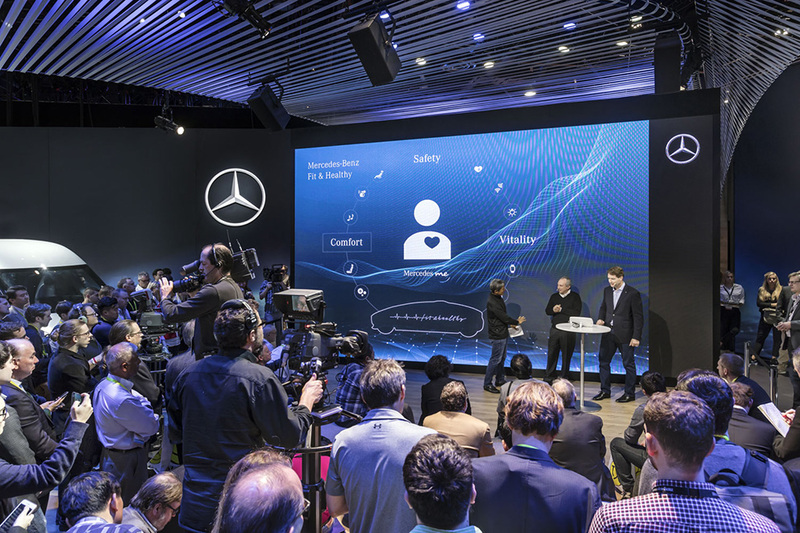 The keynote speeches given by key figures were peppered with inspiration, the technology on the stand oozed innovation, there were places to discuss partnerships, engage in one-on-one conversations with brand ambassadors and champions of development – all part of the new brand experience that is Mercedes-Benz: approachable, personal, fascinating, inspiring. The ceiling was designed to grab visitors’ attention with the recently updated Silver Flow, acting as a lynchpin for the auditorium around a central feature lined with LEDs. It was an immediate eye-catcher, even from a distance. 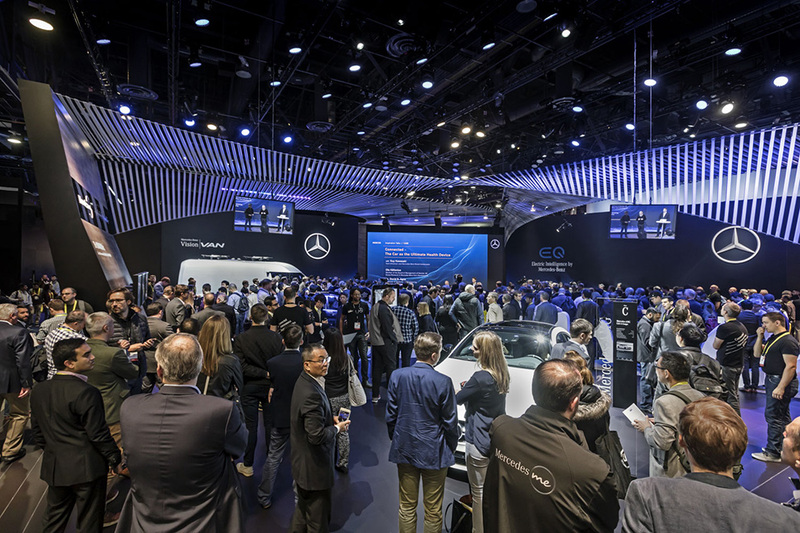 Towards the back of the stand was the Mercedes me lounge, a relaxation area to withdraw from the hustle and bustle of the fair and enjoy a cool drink. Mercedes me ambassadors were on hand with all the right training to engage in one-on-one conversations and convey the intrinsic innovation in Mercedes me. 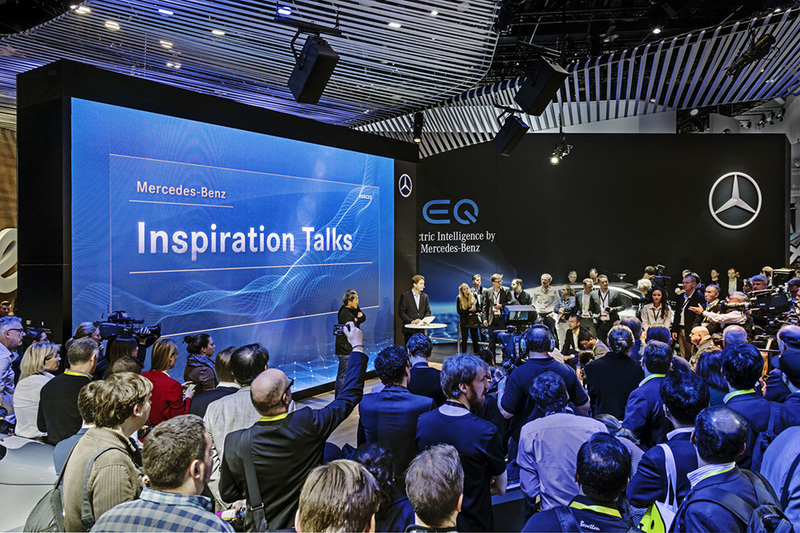 At CES 2017, Mercedes-Benz invited visitors to enter into personal dialogue and explore the fields of innovation of tomorrow, shifting the usual trade fair emphasis and going far beyond the conventional approach adopted for car show communications.